to create a disease-free, healthy, enlightened society. Maharishi's Transcendental Meditation and TM-Sidhi Programme—the experience of pure consciousness which is the basis of perfect health, is the main pillar of Maharishi's Vedic Approach to Health. 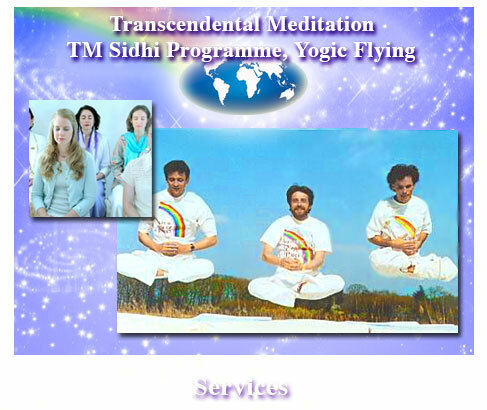 More than 600 scientific studies, conducted at over 200 independent research institutions in 30 countries, objectively document the profound benefits of Maharishi's Transcendental Meditation and TM-Sidhi Programme, and prove its extraordinary value to promote balanced functioning on all levels of mind, body, and behaviour, to reverse the detrimental effects of the ageing process, and to reverse trends of ill health. Refer to Scientific Research on Maharishi's Transcendental Meditation Programme: Collected Papers, Volumes 1-5, MUM Press [over 5,000 pages; Volumes 6­7 are in press]. Maharishi's Transcendental Meditation Technique must be learned from a qualified teacher of Maharishi's Transcendental Meditation Programme. The technique cannot be learned from a book, video or audio tape. For information on where to learn Maharishi's Transcendental Meditation in countries not listed below, please submit a request to www.tm.org/contact-us. © Copyright Global Good News(sm) Service 2010.